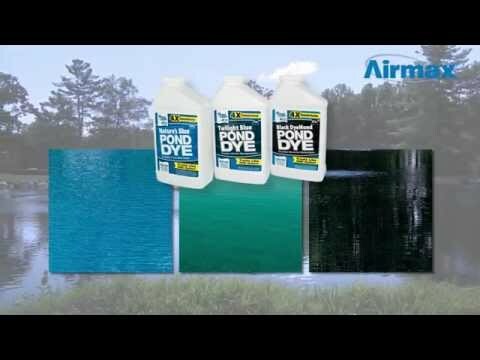 Pond Logic® Pond Dye Packets - Airmax® Inc. The power of Pond Logic® Pond Dye is now available in a convenient water soluble packet. Our concentrated formula allows 2 packets of Pond Logic® Pond Dye to treat like a gallon of competitive liquid dye. Pond Logic® Pond Dye Packets are available in 2 colors, each with its own unique application. While we provide color recommendations below, each shade of Pond Logic® Pond Dye provides the same reliable protection and can be selected based on your personal color preference. Convenient, water soluble packets make treating your pond a breeze. There’s no need to cut, tear, scoop or pour Pond Logic® Pond Dye Packets, just throw the packets in your pond and let your water do the rest. Pond Logic® Pond Dye is a completely natural product. When used in accordance with label directions pond dye is completely safe for your fish, plants, pets and pond wildlife.